In cooperation with their local traders, natural stone importers implement the standard criteria within their supply chain. Local Fair Stone Representatives and the Fair Stone team in Germany support the implementation in the target countries. 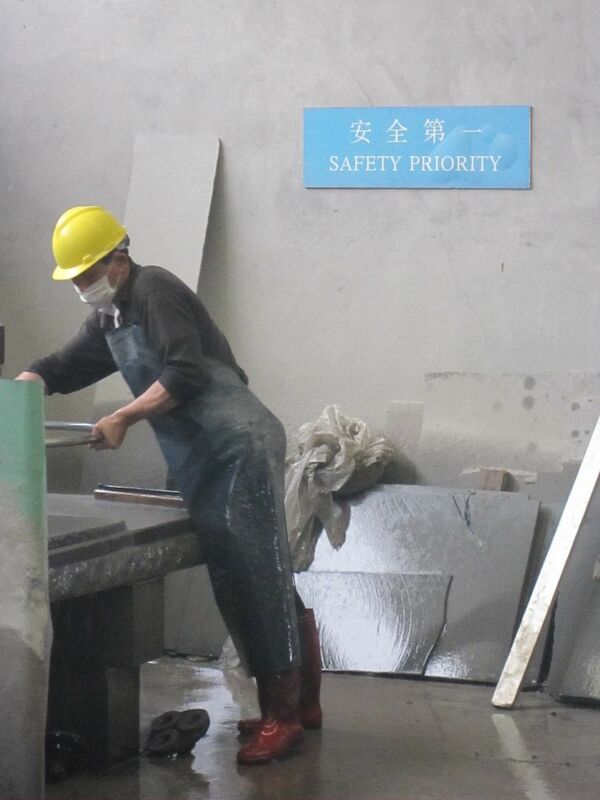 The stone processing factories are the main focus of Fair Stone standard implementation. By conducting the Fair Stone workshops in factories we initially focus on occupational safety and health to prevent accidents and to protect the worker´s health. Continuous workshops are needed to sensibilize the awareness of the workers about the risks in their job. 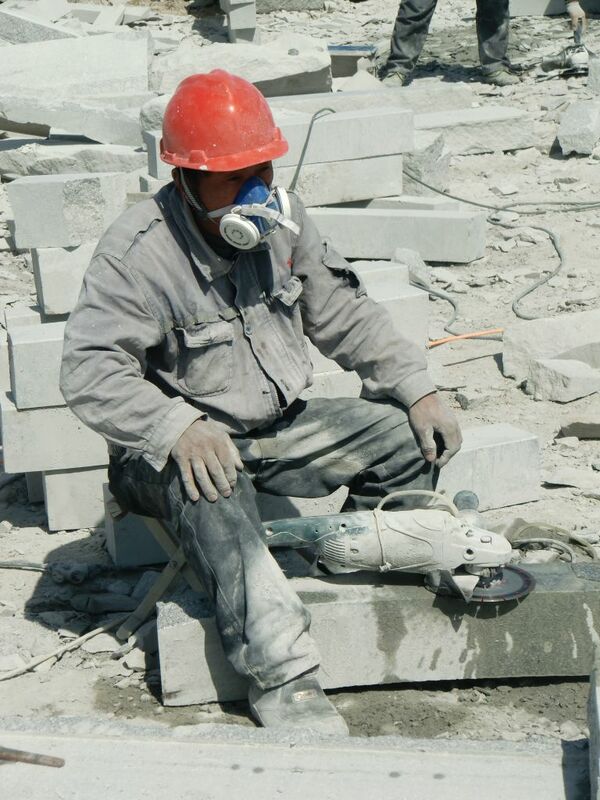 Constant capacity building – demonstrating how to use PPE, presenting the function of a lung or showing photos of an affected lung - is needed to increase the worker´s attention to wear daily and proper PPE. 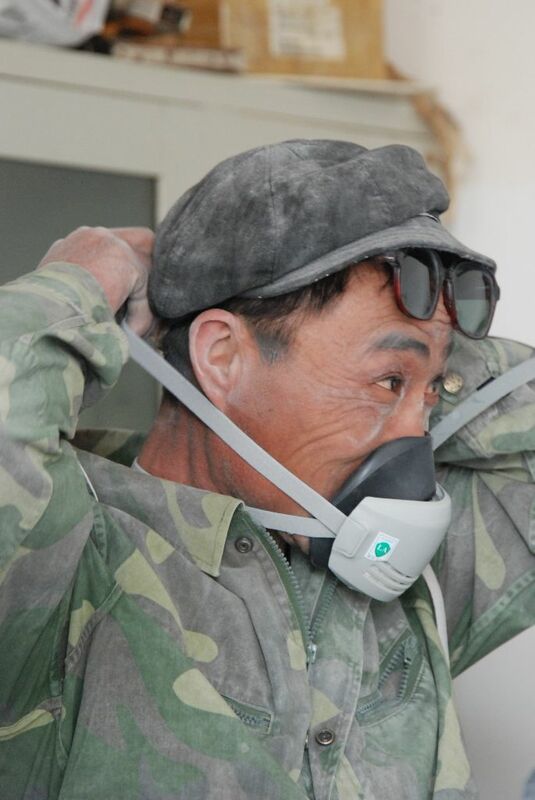 Besides capacity building, proper PPE has to be provided to each worker. Not only the workers have to be trained, also the whole management within the supply chain (p.e. factory manager, management of exporting company) have to understand and support the importance of establishing prevention structures. Furthermore, the management as well the workers have to be informed about labor- and human rights to make sure that the ILO core conditions are fulfilled and people are treated fairly. Environmental issues are also considered, especially in the consumption of water and its recycling system. Fair Stone measures are comprehensive. Without conviction of the Partners and their suppliers as well as long term business relationships advancement would not be possible. The Fair Stone system is based on long lasting and confidential relation between all parties. Get to know more about the Fair Stone process, the registration of suppliers and the step by step standard implementation, the preconditions for logo usage or see what advancements have been made in our gallery.